Award-winning Syracuse, NY fiddler, Joe Davoli, was in search of a new website that would allow him to easily list upcoming events, share news with his fans, and gather more followers and students. Avendim Media answered his needs with a new content management site with special event features, a prominent news page, and an email sign-up form for future followers. Fans can now keep track of Joe’s appearances around the country, listen to sample tracks from his CDs, and get more information on fiddle lessons. In addition, Avendim Media helped Joe advertise his upcoming “Fiddle & Groove” Workshop by providing printed tri-fold registration brochures, flyers, and an email marketing campaign. To learn more about Joe Davoli, visit his new website at joedavoli.com. One of the Great New York State Fair’s “hidden gems,” The West End Bar & Grille, and their sister restaurant, Cahoots Ale House, were looking for a way to improve their website and reach a larger audience. Avendim Media was able to give the restaurants a clean new website featuring their menu and entertainment venues. Their new, responsive website can be viewed across multiple devices (which was a serious issue for them) and can be easily updated as they schedule more events. Maximeyes Optical contacted Avendim Media with the goal of re-imagining their website into a fashionable showcase for both of their store locations. Their new site now offers featured store pages outlining their unique services and selections of eyewear, along with an introduction to their talented staff. New York filmmaker, Fivel Rothberg, presented Avendim Media with the task of redesigning the website for his autobiographical documentary “House Devil, Street Angel.” We presented him with an up-to-date layout and inspiring color scheme with a touch of creativity (thanks to his son’s artwork). To learn more about Mr. Rothberg’s documentary addressing abuse, fatherhood and masculinity, please visit www.housedevilstreetangel.com. 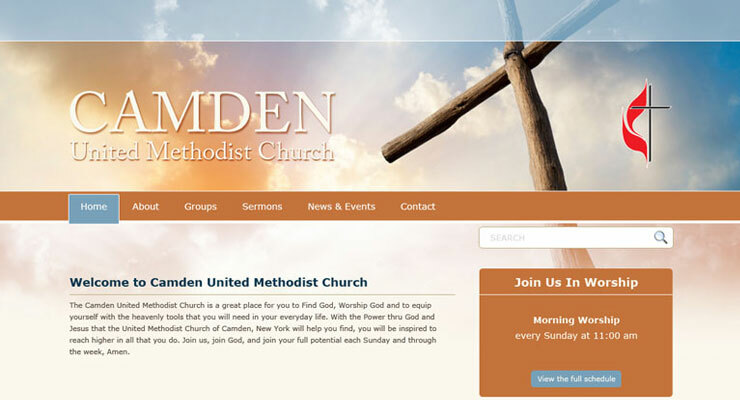 Camden United Methodist Church approached us with the task of shining a new light on their website. They needed an updated look, a better way of communicating with their members and an easier system for updating their information. Avendim Media met their challenge with a bright, friendly, inspiring design and a new content management system. Now, church leaders can share upcoming events, news, sermons and more with their entire congregation. 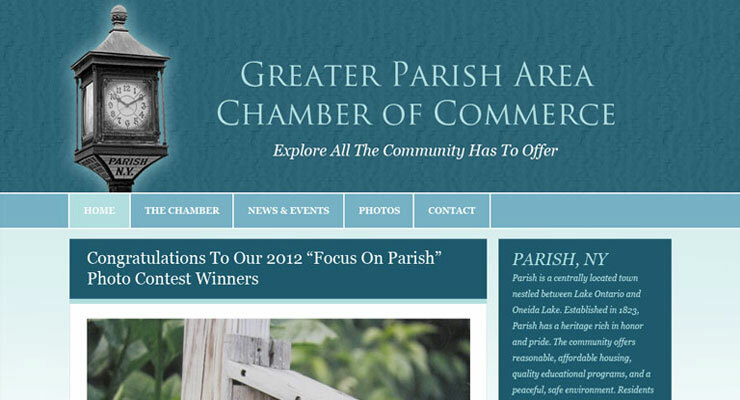 Congratulation to the Parish Chamber of Commerce of NY on the launch of their new website today. By upgrading to a new content management system, chamber officers can share more information with their community. Members can now leave feedback and easily communicate with other local businesses. 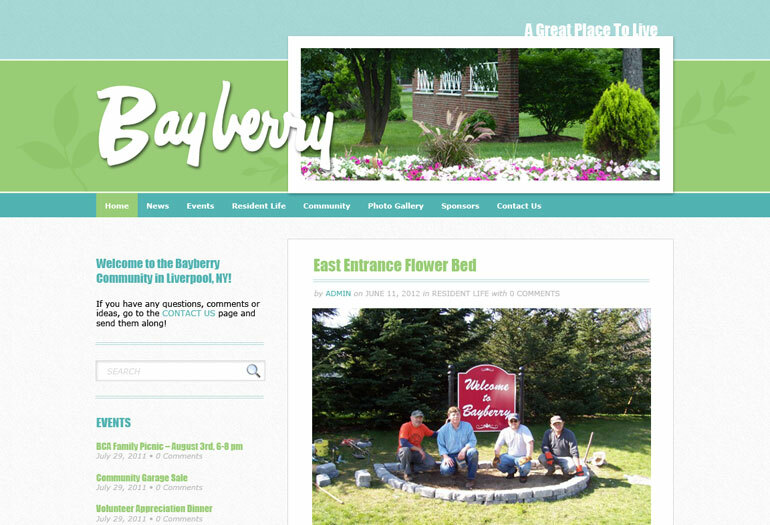 Avendim Media has worked hard to give the Bayberry Community a new, modern website. The clean design will allow residents of the community to easily access information about upcoming events, download the latest newsletters, view the photo gallery, and submit comments to their officers and representatives. The content management system will save the officers time by allowing them to quickly and easily add content to share with the community. Another successful brand and website launch! 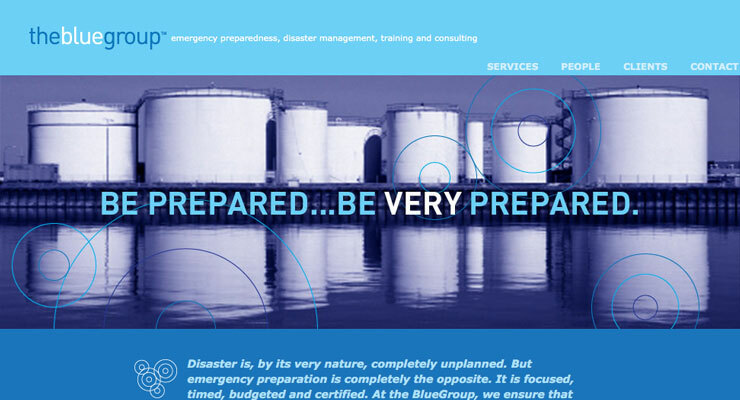 Avendim has worked with The Blue Group, an emergency and disaster management company, in the past to design their brand and stationery. Now we have designed and developed a new site for them as well. Go to http://www.thebluegroup.com/ to see more. 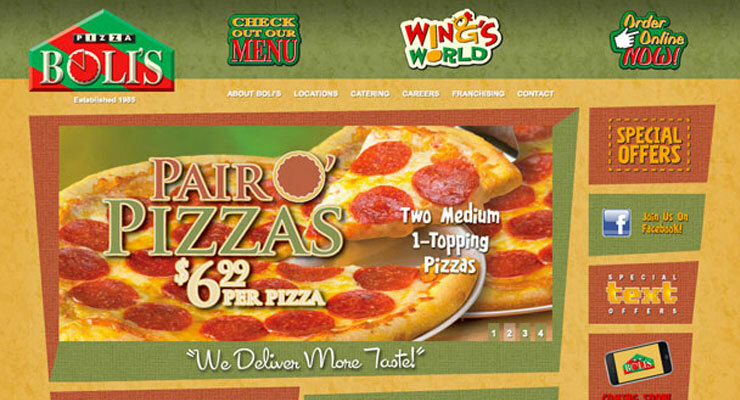 Today we launched a completely revamped website for Pizza Boli’s, a pizza chain in the Maryland/DC/Virginia/PA area. Check it out at http://www.pizzabolis.com/ and let us know what you think! 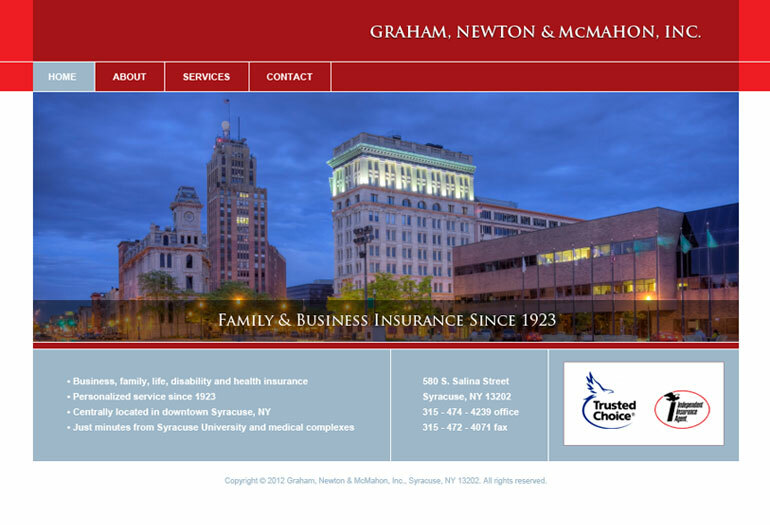 We our happy to announce the successful launch of a new site for a local Syracuse, NY company. Avendim Media designed, wrote, and developed this information website and will be providing hosting services, as well. Check it out at http://www.gnminsurance.com/.